Please read the FAQ, i won´t answer a comment if the question is already answered in the description. 1. How do i enter Middle-Earth? – Farengar in whiterun has two new spells for you. These speels teach you how to teleport into Middle-earth and back to skyrim. Alternatively there is a door placed i the west of Skyrim. Fast-travel to it and enter it. 2. How do i start the battle of Helms Deep? – Look behind the long wall. There are 3 glowing teleport stones on a platform. They will bring you into the different phases of the battle. 3. How do craft new things/spells? – Look at Elronds library, there is a desk where you can craft new things, but you need different resources or books about the new spells and items, so go and search them. 4. Will you update the mod and include more worldspaces? this mod. There are several reasons behind this decision. I spent years on this mod and it was a really great time. But i´m not done modding. I bought a brand-new computer for modding the game Ark-Survival Evolved. 5. Are there any quests? – Nope. …Well i really wanted to include quests. At some places i prepared scenarios for different quests. But over the years i lost the interest in creating quests. Don´t get me wrong, i followed a first tutorial and made one mini-quest. But that felt so time consuming, even without the voice-lines…. I came to the conclusion, that my modding skills and interest are far more in level-design. 6. Can i make a quest mod for this? -So, if there is anybody who wants to create a sub-mod with quests – go ahead, ask me for permission/advice and continue my work. (There are multiple requests from sub-modders. By contacting me, i can deal with your requests and help preventing them from conflicting. 7. Is there a SSE Version? -Since i don´t play SSE i don´t mod for this Version. Some people converted my mod here on Nexus, but i don´t know anything about these versions, so you need to find/contact them on your own. – I always try to prevent possible conflicts with game files and other mods. That doesn´t always works and sometimes the game itself comes to its limits. Bree is a sad example. When i created all the small details for big city, my game crashed immediately because there were to much objects, idle-markers, wandering paths and NPCs. So you see even the hardware can give up. 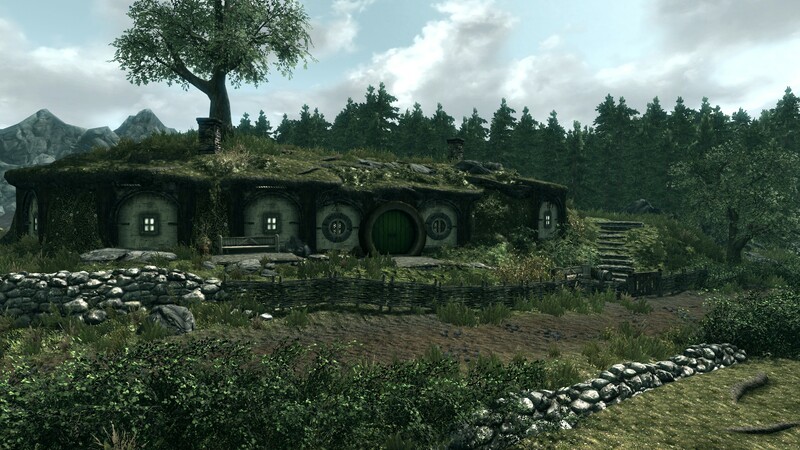 My best advice if nothing works: try plaing the game only with the middle-earth mod. If it runs, it´s just a conflict with another mod. 9. Why are there 2 .esp files? -Because of some nasty problems with the first .esp i started again with a clean new .esp to avoid new errors. When installing the mod, make sure Middle-Earth-II is checked after the first in the load-order. Feel free to add videos and pictures. I hope you enjoy the journey through middle-earth and have fun you all.